I’m Ed Smith, a Sacramento Personal Injury Lawyer. Everyone understands that there is a risk of injury with every car accident; however, some injuries are more common than others. 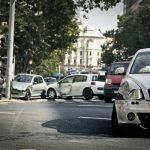 A broken leg is a common injury in car accidents because it is relatively exposed at the front of the car, a common point of impact in car accidents. The leg has multiple bones and one of the bones that is commonly injured is called the tibia. 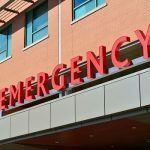 It is important that patients understand how tibia fractures are sustained in auto accidents so that they can seek compensation if justified. The leg is made up of multiple bones. The upper part of the leg, also known as the thigh, has a long, thick bone called the femur. A femur fracture is also relatively common in car accidents and the femur will connect to the knee. In the lower half of the leg, two bones work together. The thicker bone is called the tibia and the smaller bone is called the fibular. Because these bones are smaller than the femur, they are at greater risk of injury in an auto accident. How is the Tibia Injured in a Car Accident? Because the tibia makes up the lower part of the leg, it sits toward the front of the vehicle. When someone feels an impending accident, they may slam on their brakes in an effort to avoid the collision. This straightens out the leg at the front of the vehicle, exposing the tibia to the point of impact. When the front of the car impacts another vehicle or a stationary object, the front of the car could get crushed on impact. This is how patients sustain impaction fractures of the tibia. How Will I Know if My Tibia is Fractured? There are several symptom that patients should look for in case they have a tibia fracture. If the tibia has been fractured, there may be swelling in the area of the fracture. Patients will feel pain if they press on that area of their leg. When patients stand up and try to walk, they will favor the uninjured leg over the injured leg. Patients with a complete break may not be able to walk at all. If a blood vessel has been damaged, there may be significant bruising over the site of the break. Patients who have suffered nerve injury may feel numb along certain parts of their lower leg and ankle. People with a tibial fracture should seek medical attention immediately so that their leg can be repaired. I’m Ed Smith, a Sacramento Personal Injury Lawyer. Car accidents are a serious matter, especially when they lead to traumatic injuries. Anyone injured in an auto accident should call my office at (916) 921-6400 for friendly, free advice. Those calling from outside of the area can use my toll-free number: (800) 404-5400. I’m pleased to be a Million Dollar Advocates Forum Member. Some of my past verdicts and settlements can be read here. Check out my client reviews: Avvo, Yelp, and Google.